01. 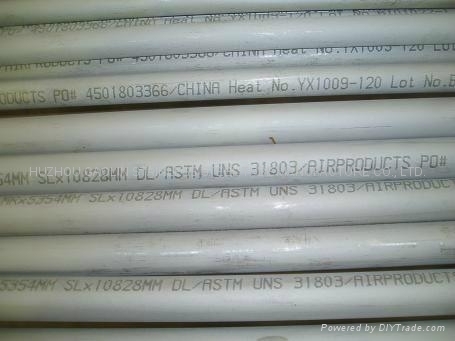 Commodity: grade 1.4462 seamless duplex stainless steel pipes. 02. Process method: cold drawn/cold rolled. 03. Surface finish: annealed, pickling and polishing as required. 14975/14976 , BS3605, ASTM (ASME) A/SA312/M, A/SA790/M. a) NPS: 1/8" to 12". acc. to ANSI B 36.19/36.10. 07. Length: Max. 20 meters. 08. Applications: for fluid and gas transport; structure and machining.